You may already have lots of ideas for content; a blog post about the latest industry challenge, or an eBook on choosing the right provider. But before you put pen to paper or jump straight to your keyboard, you need to think strategically about what you are going to create and why. Every piece of content you create should have a clear purpose. This is where having well-defined buyer personas and a solid grasp of the buyer’s journey is vital. Buyer personas illustrate the needs of your ideal customers. Use this knowledge to create content that taps into these needs. At each stage of the buyer’s journey prospects will have different questions. Each piece of content needs to answer at least one of these. Plan a variety of content formats, including blogs, eBooks, whitepapers, and case studies. Consider audio and visual content too. Use your buyer personas to guide you. If you know your audience will devour podcasts then be sure to include them in your mix. Decide who will be responsible for creating content. You could keep it within marketing, or you may involve others across the business, even if just as a source of blog topic ideas. Finally, set goals and timelines. How many blog posts can you commit to per week, per month? There is no perfect frequency for publishing blog posts, as Rand Fishkin argues in a recent Whiteboard Friday. He claims consistency is more important than raw frequency, and I'm inclined to agree. So when deciding how often you should blog, make sure you have time carved out in your schedule so that you deliver week in, week out. Planning what you are going to produce, why, and how often, is essential. It will make you accountable, it will create momentum, and you’ll be much more efficient at the ‘produce’ stage. Once you have a solid plan in place and know who you are writing for and why, you can begin creating content. Get those creative juices flowing and shape your ideas into content that will allow you to build a connection with buyers. But don't travel too far down the path of creativity. It may be tempting to use eloquent language and adverbs to be more descriptive, but your content needs to be clear, succinct, and direct. Keep it educational and helpful. After all your content needs to navigate your prospects through their problem and towards a solution. So keep it simple. Make your blog posts easily digestible by using sub heads, bullet points, and lists. Focus on the benefits of your product or service, rather than features. Features may have rational appeal, but benefits tap into emotional desires. Buyers want to know what’s in it for them. Now is the time to share your carefully crafted content with the world. Think about how you can promote your content so it gets found by the people searching for it. You should be promoting your content on social media. For B2B firms, sharing on LinkedIn is a must. But, harness knowledge from your buyer personas to find out what social networks your ideal customers are using, and share your content on these channels. If your potential buyers aren’t on Facebook, don’t share it there just for the sake of it. Email newsletters help get more eyes on your content. Build relationships with leads by delivering content direct to their inbox that they otherwise might not see. Nurture your relationship with current customers by continuing to provide them with helpful content. 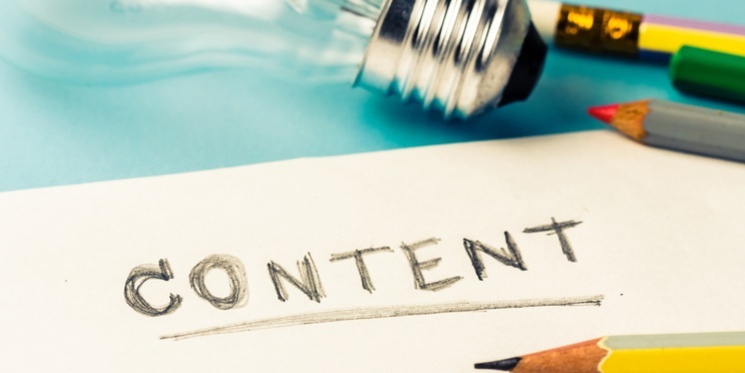 Analysing the performance of your content is crucial. You need to make sure what you’re doing is working, and make changes if necessary. If you are using HubSpot it's very easy to analyse your blog performance, if not there are several blogging statistics trackers you can use. Measure aspects like number of visits, leads generated, number of shares, and performance by author, topic, and format. A certain blog topic may have performed really well. Is there more you can write on the subject? Or a whitepaper might be doing a great job of converting leads to customers. In which case you may want to increase its visibility on your site. So there you have it, a clear four-step structure for content creation. One that enables creativity and allows your content to flourish. But, it doesn’t stop there. You need to keep planning, producing, distributing, and analysing your content. Keep the cogs of your content creation machine turning so you can continue driving buyers through the sales funnel.